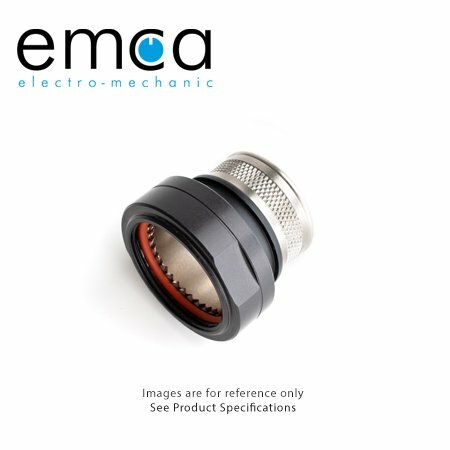 For high level shielding effectiveness, EMCA VG 95319-1011 banding adapter products such as the A38-025-A61 provide an economical (fully 360 degree) approach to terminating overall, and/or, individual cable shielding, especially where future maintenance or reparability are required. A high quality M85049/128 Termination Band will do the job in this backshell. M85049/128 Termination Bands are tightened over the shields, which is pulled over the banding area, using a special assembly tool. Suitable over cover by a heat shrink boot is one way of providing environmental protection and strain relief to the cable termination.